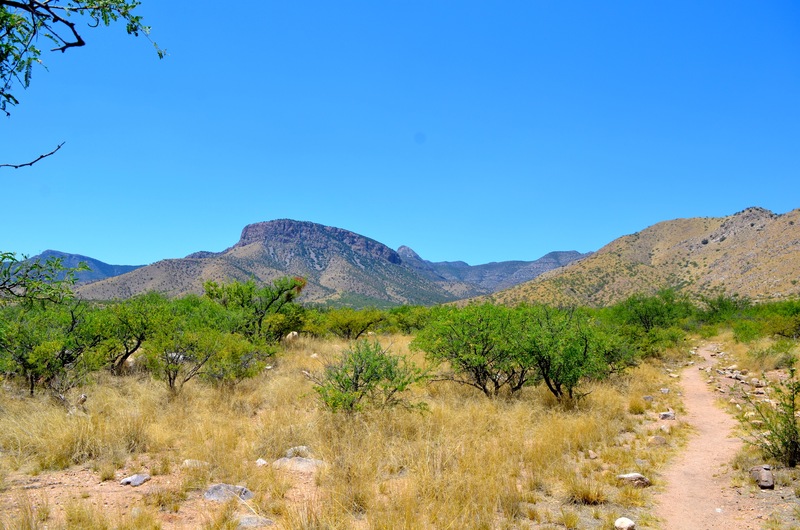 I first learned about Kartchner Caverns shortly after moving to Arizona and immediately knew this would go on my list of must-do’s! 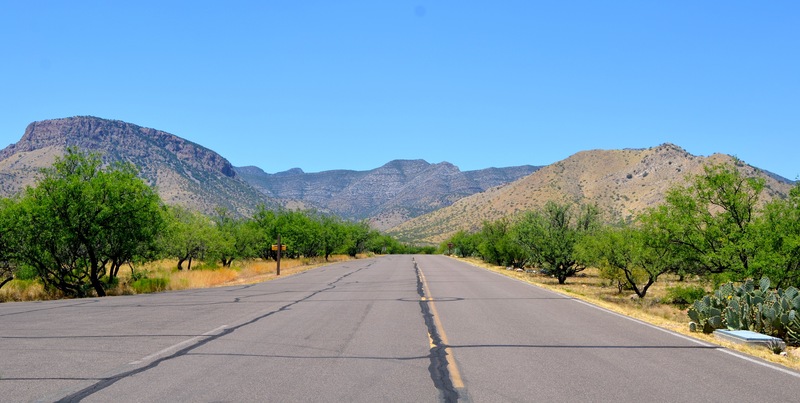 Many of our AZ road trips have been targeted to the north, so I was happy to shake things up and head south with my good friend Laura from Shug and Spice. We were able to see a lot by basing ourselves in Tucson for the night. 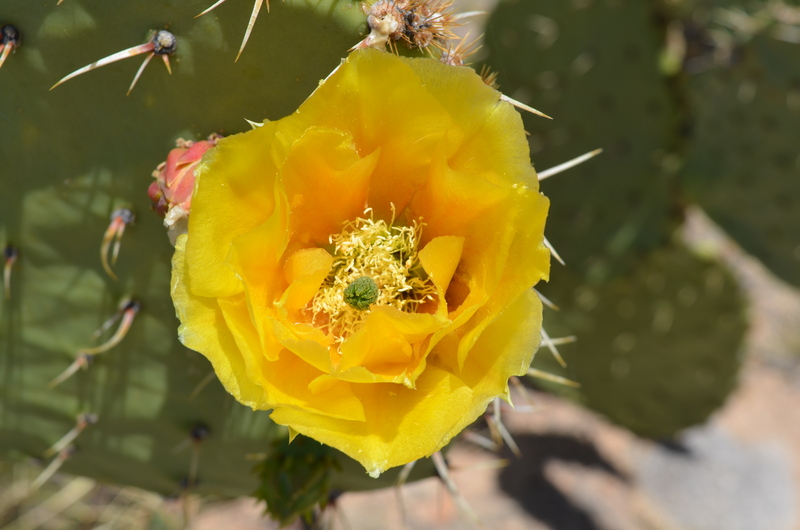 In addition to visiting Kartchner Caverns, we trotted down to the town too tough to die (Tombstone), had a fun night out in Tucson, and even took a drive through Saguaro National park the next day before heading home. I wasn’t quite sure what to expect, but the cave certainly didn’t disappoint. 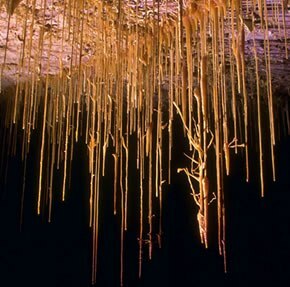 The only other cave I have visited was earlier this year in Belize when Jimmy and I toured the ATM cave. That was an amazing experience, but completely different from the equally incredible tour of the Throne Room at Kartchner Caverns. You guys, the cave is full of bacon and tums! Seriously. 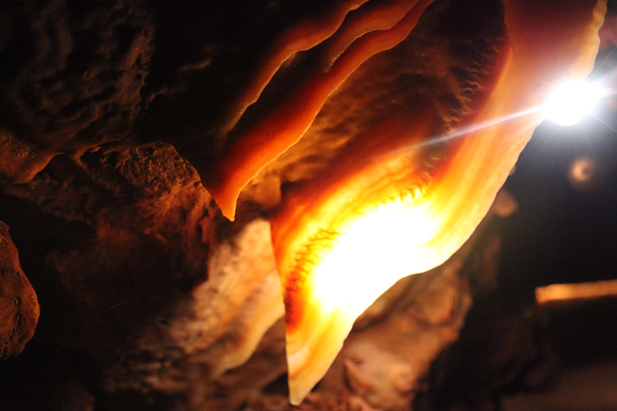 Cave bacon is a thing and it is growing in a wet and wonderful underground world under the Sonoran desert landscape. 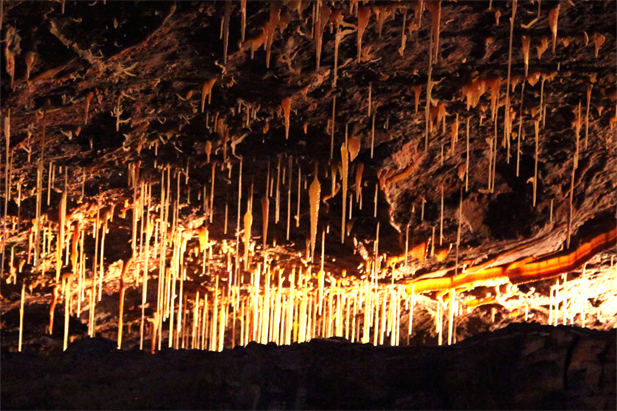 Tickets to visit the caverns can be purchased online and the site requests that you arrive an hour in advance of your tour. 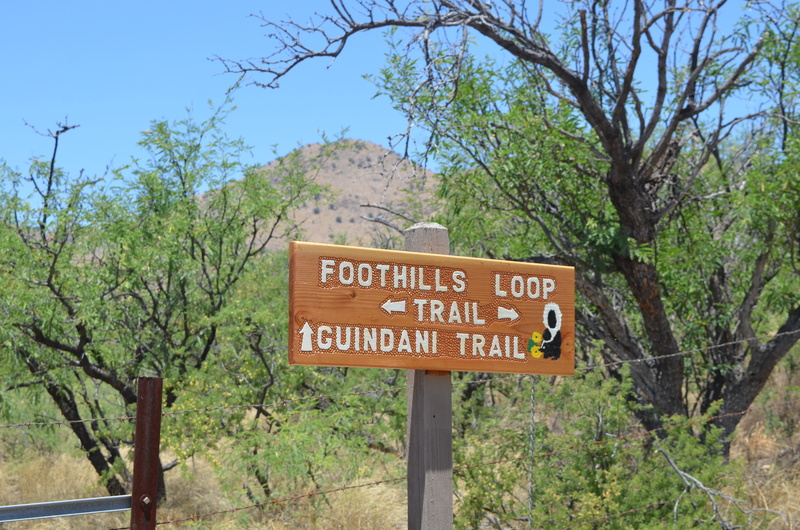 We arrived with plenty of time to spare, so we explored a nearby trail and enjoyed a picnic lunch in the heat before heading into the visitor center. It is clear a lot of time and special effort has been put forth to create a wonderful resource for visitors to learn about the caverns. One of my favorite parts was the 14-minute video explaining how the cave was discovered. Below is short clip highlighting a bit of history of the cave. Two college students who were amateur cavers discovered the cave in 1974. Aside from notifying the Kartchner family, who owned the land (hence the name), the cave was kept a secret for years! They all wanted to preserve and protect the cave and believed the best way to do so was to turn it into a state park. Thank goodness we get to benefit from their conservation efforts! I was amazed by how much work has been put into the park to not only make it safe and accessible, but also to preserve its pristine environment for years to come. Well-lit paths were created to guide tourists through the cavern, getting you close to the wonderful sights and formations, but still protecting the delicate cave condition. In one opening you can see the tracks the explorers used to get in and out of the throne room. They were especially careful to maintain a healthy cave – a commitment that has been carried forward by the parks. Being in the cave seems so surreal after standing in the hot and vastly barren desert landscape of the Whetstone Mountains. It is truly amazing what water, rock, and time can produce. 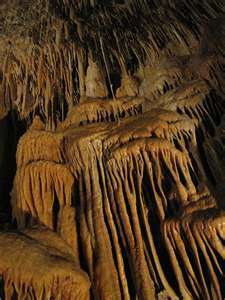 Stalactites, stalagmites, columns, and soda straws have been developing underground in the caverns for over 200,000 years. Without a focal point in the cavern, it is difficult to grasp the sheer size of the space in which you stand. However, you quickly realize how small you really are in the presence of a massive 58-foot column formation that is considered the pièce de résistance of the throne room. Along the way you learn about the different formations and what influences the colors and size. 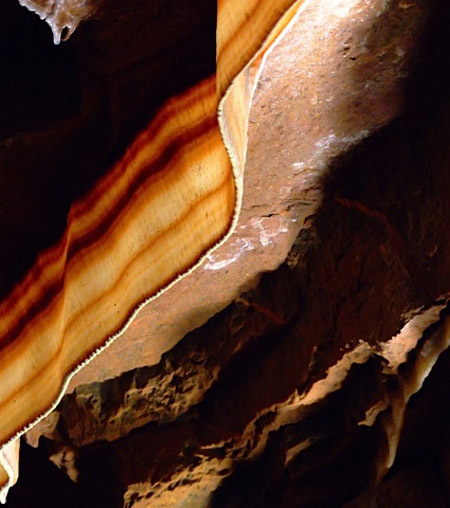 Laura and I jokingly commented how hard it was not to simply reach out and touch the beautiful formations. To be clear, we held it together. No touchy! One interesting thing the guide pointed out was a portion of the cave ceiling that was white and as she explained the consistency of sour cream. The mineral is actually commonly found in tums! Must be necessary with all of the cave bacon. Come on, you knew there would be a bad cave bacon joke mixed in here, right? Looks good enough to eat, am I right? My personal favorite of the formations were the soda straws. They were so delicate, yet beautiful. 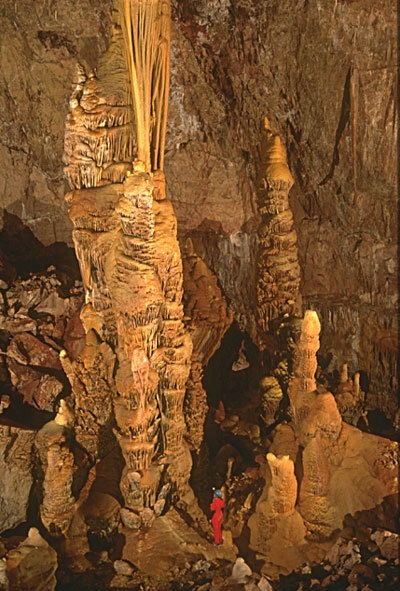 Kartchner Caverns is home to one of the world’s longest soda straw stalactites in the world at 21 feet 3 inches. 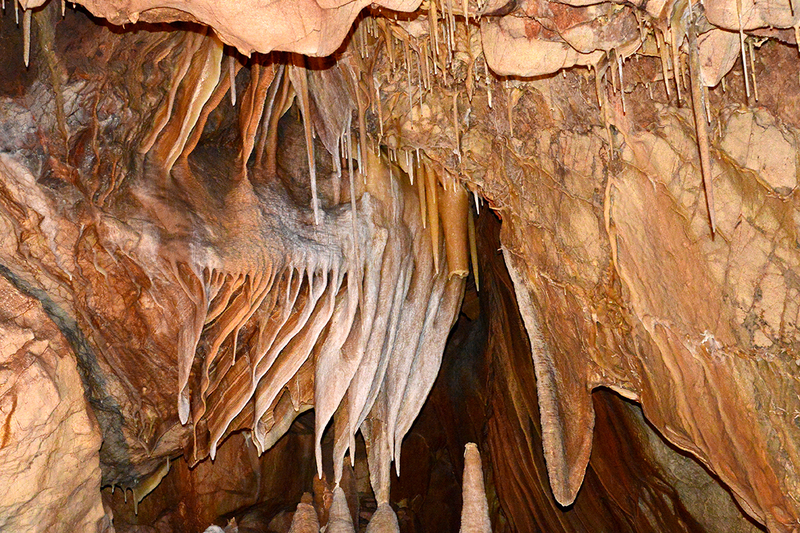 The cave is simply something you have to see for yourself. It is suitable for visitors of all ages including families, seniors, and even two friends looking for something fun to do on a Saturday. No cameras or personal items are permitted in the cave, so you are able to truly focus on the incredible environment without the distraction of electronics. It is amazing to think that these formations have been growing for tens of thousands of years under the Whetstone Mountains. 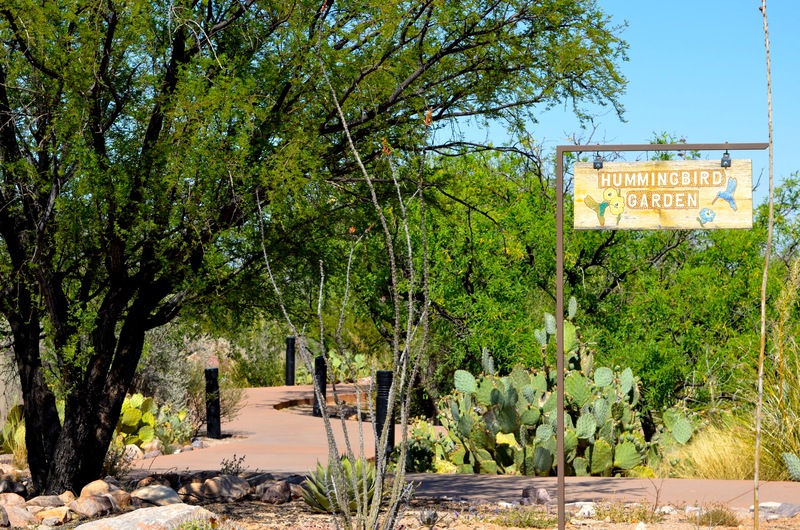 Makes you wonder what other undiscovered caverns there are in Arizona and beyond. 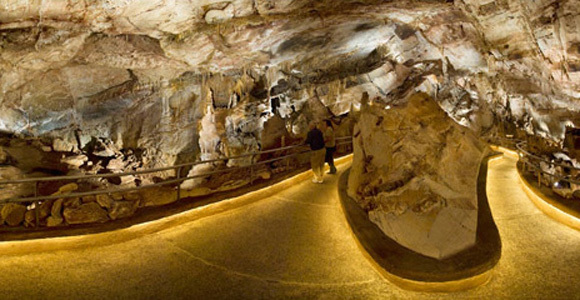 Please note, as no cameras are permitted in the cave, all pictures of cave features are cited from the official state park website and google images.